This Portuguese archipelago bursts into bloom at this time of year and is one of Europe's island gems. Don't miss: Flores, famous for its unique floral vegetation: it is perfect at this time of year. There are also the beautiful gardens on the island of Sao Miguel, including Terra Nostra Park. On the Beach offers a seven-night holiday on Sao Miguel staying at the four-star Bahia Palace Hotel with return flights from London Stansted on 11 June from £571 per person. Head to Ostuni in beautiful Puglia where La Notte di San Giovanni is celebrated on midsummer's eve: a night of mystery celebrations with special meals, a parade, fire eaters, dancers, midnight firework and concerts. Stay at the contemporary-chic Sarago Apartments, within easy walking distance from the action, for £700 per week for two adults in June. The country boasts two distinct climates, with largely Mediterranean temperatures found on the coast and cooler, sub-alpine conditions in the interior of the country. The best time to visit Montenegro is generally between the months of April and September but accommodation is the most expensive in July and August, with some places almost doubling their prices. The weather remains warm in June and it is a more affordable time of year to visit the country. Wexas Travel offers a seven-night Highlights of Montenegro holiday from £770 per person, staying in Budva and Kotor, including flights. The weather in Mauritius is blissfully tropical - between 20 to 26C - at this time of year. Try this: Shanti Maurice, in the southern and most unspoilt part of the Mauritius, is an intimate resort, ideal for every kind of sun seeker, including couples, honeymooners and families. Rooms at Shanti Maurice start at €374 (approx. £265) for a double Junior Suite Ocean View. Make the most of some of Britain's spectacular coastline before the crowds arrive by travelling in June. The peaceful beaches and beautiful scenery of the Jurassic Coast are heavenly at this time of year. Try this: Poole is a great base for exploring the region. Try one of the 25 watersports on offer, take a cruise up and down the coast, and check out the host of historic pubs and award-winning restaurants. Airbnb offers stays at luxurious villa Blue Lagoon View in Salterns Marina for £250 per night. Spain boasts perfect temperatures in early summer, but it's worth avoiding the Brit-heavy Costa Del Sol and opting instead for Valencia. With 15 kilometres of beautiful sandy beaches, endless days of sunshine, stunning architecture both ancient and modern, plus one of Europe's most spectacular marinas and a UNESCO World Heritage Site, you're in for a treat on a cultural city break in the sun. Spain-Holiday.com offers stays in a modern two-bedroom townhouse with a private terrace, ideally located for the city’s beaches. A week's stay in June for up to five people costs from £822. Although June marks the official transition between the dry and wet season in Barbados, this month rarely sees significant or prolonged rainfall. Average temperatures hover at a balmy 26C and there's plenty of guaranteed sunshine to go around. Take advantage of the prices during this 'low season'. Try this: Blue Bay Travel offers an all-inclusive seven-night holiday at Turtle Beach by Elegant Hotels for a family of four from £4,299 in June, including flights from Manchester. June is the perfect month to get out and about in America's most walkable city. Boston has an abundance of green parks and open spaces where you can enjoy a leisurely stroll or cycle, such as alongside the Charles River or through Boston Common. Try this: See where a republic was born as you walk the famous Freedom Trail, a 2.5-mile route that links 16 of the most important heritage sights in the city, including the Old State House, Paul Revere’s House and the Old North Church. WOW Air offers cheap flights from London Gatwick to Boston in June from £169 one way. This quiet town on the Suffolk coast is the birthplace of world-famous musician Benjamin Britten and retains its musical importance to this day as it holds the Aldeburgh Music Festival over three weeks every June. The area is also lucky enough to boast, on average, two hours' more sunshine each week than anywhere else in England, making it the perfect peaceful holiday destination while located just a few hours' drive from London. The four-star Brudenell Hotel has a seafront terrace just a pebble’s throw from Aldeburgh's beach, with seaview rooms from £175 per night for two sharing. Peru's Inca capital Cusco hosts the historic festival of Inti Raymi or ‘Festival of the Sun’ on June 24 each year at the fortress Sacsayhuamán. Historically the locals would gather on the winter solstice to honour the sun god Inti and the ceremony still takes place with a simulated lama sacrifice as a tribute to the Inca. In the modern day it’s one of the largest festivals in South America and hundreds of thousands of people travel from all over the world to join in the week-long celebrations. Try this: Opt for a homestay to experience life like a local. Homestay.com host Felice's house is bright, colourful and her husband is a tour guide. Stays start from £19 per night. June marks the beginning of the high season in Sweden, when the temperatures begin to rise. Visitors can expect pleasantly warm weather and the majority of sights will be open. They begin to close in July and August as the native population take their holidays. Don’t miss: Midsummer in Sweden marks a time of the year when the sun barely sets in the north of the country. This celebration of the summer solstice takes place each year over the weekend closest to 24 June and involves a long evening of eating, drinking and enjoying Swedish traditions such as the putting up of a midsommarstång (maypole). In Stockholm, you can stay at stylish four-star hotel Hotel Drottning Kristina Stureplan from £170 per night with Booking.com. Yellowstone is the USA’s oldest and largest National Park and visiting in June will give you the chance to see some of its amazing wildlife, including grizzly bears, young elk calves and bighorn lambs. Yellowstone is also home to more than half of the world’s geothermal geysers that shoot boiling water into the air. Don’t miss: The most well-known of the geysers, ‘Old Faithful' is one of the most predictable geothermal attractions in the area and erupts approximately every 65 minutes. Try this: World Expeditions' 15-day Grand Canyon and Rocky Mountain Trails holiday takes in the geysers and boiling mud pots in Yellowstone, the hanging lakes in Aspen, the dramatic Rocky Mountains and includes camping in the Grand Canyon, from £2,190 per person. This small Croatian city can be found on the south coast of the beautiful country. Dubrovnik combines culture, history and beach areas for visitors of all ages to enjoy. Visiting in June means long daylight hours, temperatures of around 22C and very little chance of rain. Many of the attractions in the historic Old City are affordably priced or even free so there are plenty of options for those looking to make the most of the city. Accommodation outside the city centre tends to be cheaper and gives you the chance to get away from the hustle and bustle to relax in the evening. Try this: Three-star hotel Villa New York is located in Mlini, a 20-minute drive from Dubrovnik, and set on the shores of the Adriatic Sea. Booking.com offers stays in June from £62 per night. 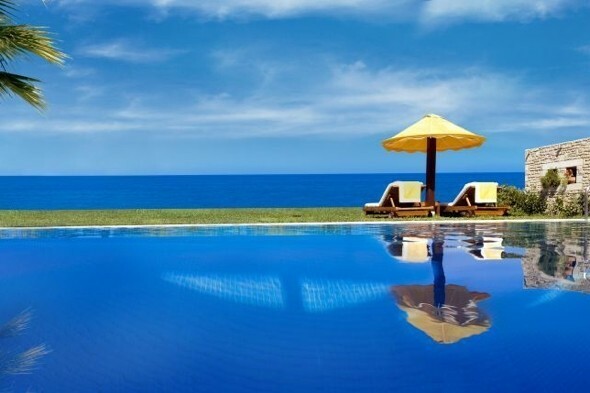 Puerto Vallarta’s famous beaches are provide an exotic location to visit in June when the weather is at its most comfortable, the rain levels are low and the accommodation is affordable. The state is known for its colourful artwork, street food and also for being the birthplace of Tequila. Thanks to Puerto Vallarta's coastal location, day trips to nearby islands are easy and there are plenty of sites in the surrounding area.Don't miss: Bahía de Banderas (Bay of Flags) which is known for its stunning wildlife, tropical fish and vibrantly-coloured coral. Thomson Holidays offers seven nights at the four-star Canto Del Sol on an all-inclusive basis for £1,099 in June, including flights. Winter might be the most common time to visit Norway, but the summer season offers a whole host of opportunities for visitors to enjoy. Summer sees the most rain in Norway but as June is at the start of the season the chance of showers is much lower than in July and August. June also boasts the longest daylight hours, with as much as 19 hours of daylight each day and the sun setting at around 11pm. The temperatures won’t be sky high but you’ll be able to enjoy pleasantly warm weather of around 14C. Discover the World offers a five-night fly-drive holiday on the West Coast of Norway from £1,112 per person. This Spanish archipelago can be found off the west coast of Africa and experiences mild temperatures throughout the year. In June, daily temperature highs reach around 27C and at night the thermometer drops to 18C. The summer months of June to September are generally dry and sunny, providing ideal conditions for a relaxing early summer holiday. Visiting the Canaries in June means you’ll miss the school holiday rush and high season for tourists, giving you the chance to experience the islands at their most peaceful. Try this: Thomson Holidays offers seven-night holidays in La Gomera staying at Aparthotel Playa Calera on a B&B basis for £611 per person in June, including flights. The prime safari areas in South Africa around the Kruger National Park are best visited between June and September, when the weather is cooler and dry. Try this: Sabi Sabi, a private game reserve with four award-winning lodges, offers luxury accommodation and day and night time safaris. Jacada Travel offers a four-night stay at Sabi Sabi's Earth Lodge and Little Bush Camp from £3,400 per person, including flights. June marks the beginning of the summer months in Iceland, when the weather is generally at its warmest and driest. June 20 to 22 are the longest days of the year and will give you the chance to experience almost constant daylight as the sun never goes down. Iceland's famous midnight sun events also take place this month with a whole range of activities available for visitors to enjoy, including whale watching and festivals. Discover the World offers a ten-night Introducing Iceland holiday from £2,756 including flights.